Genuine bordeaux-toned Irish socks. Knitted in Ireland in the Donegal Socks workshops with 80% wool and 20% polyamide, these hardwearing socks are the cold winter days essentials. 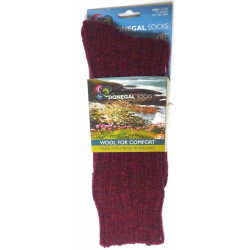 Genuine bordeaux-toned Irish socks. 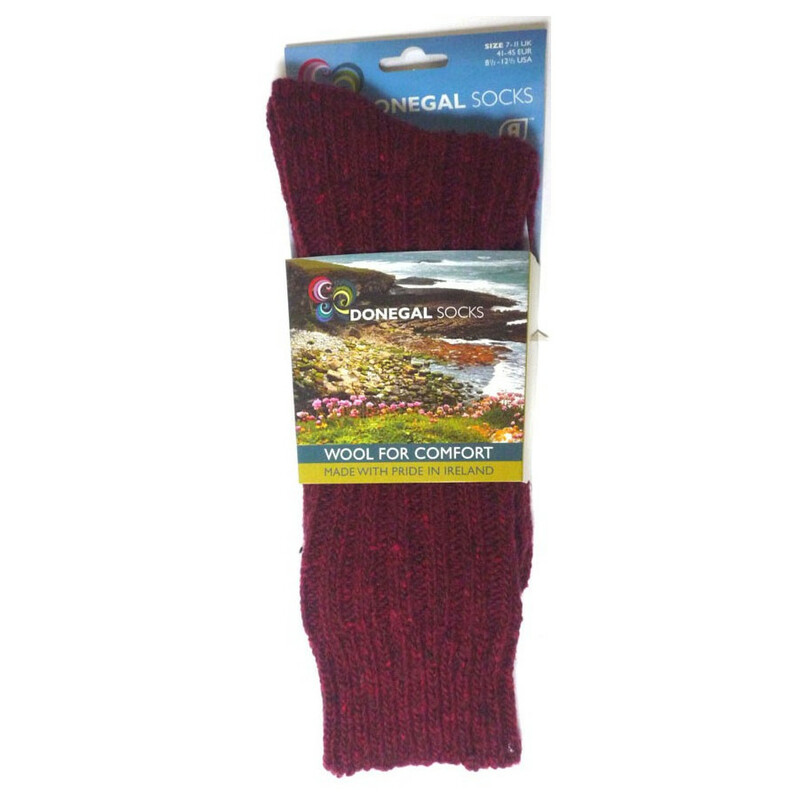 Knitted in Ireland in the Donegal Socks workshops with 80% wool and 20% polyamide, these hardwearing socks are the cold winter days essentials. Short socks. Wool has exceptional absorbant capacities and regulates body temperature, releasing warmth in winter and keeping you cool in summer. A great outdoor garment. 80% wool and 20% polyamide.